Project management has captivated our professional lives in such a way that it’s now become a norm in every single business and office/organization. This phase of systematically conducting your work and organizing the bits and pieces of a project to achieve a common company goal or objective was what governed successful projects and innovative, state-of-the-art changes and change management systems. 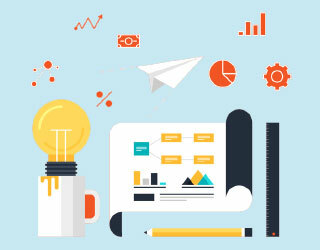 With project management techniques evolved project management approaches, and these approaches kept evolving and growing to the ever-changing aspects of global businesses. As industrialization grew exponentially there came about a divide in the way we looked at project management approaches and how it would affect the business. The work needed to get faster and better and more accurate than ever. 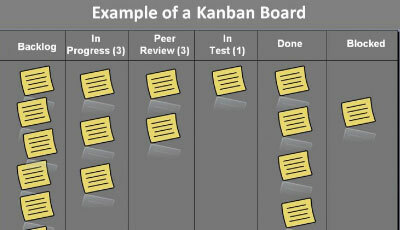 That’s what came about to us as the new side of project management. The older approaches, or more legacy systems, came to be called Traditional Project Management and the new, vibrant and more intuitive approach came to be known by the name of Dynamic Project Management. In this article, we’ll look at how we can differentiate these two phases of project management and how we can help you decide which of these approaches is needed by your business to function like a well-oiled machine. We’ll pit traditional project management vs. dynamic project management on the basis of 6 individual points and we’ll see how they fare on those terms. When we speak about traditional management, we’re looking at a very confined and rigid form of a project management approach. 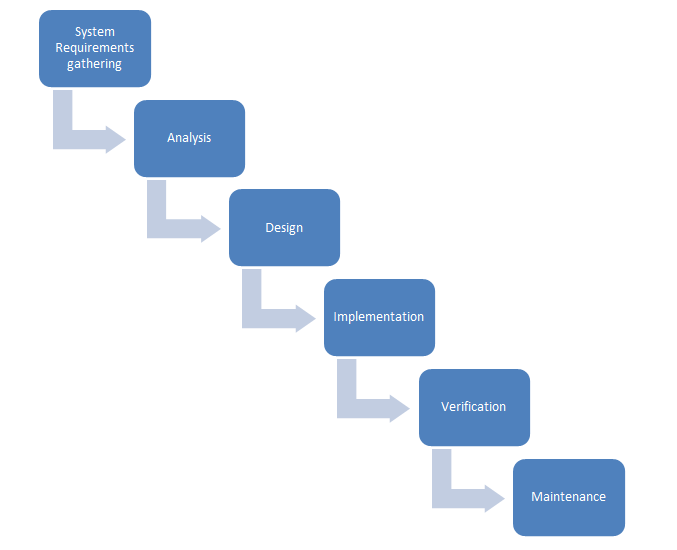 This approach was the start of project management on planet earth and assumed that the scope and objectives of the project stayed constant throughout the life cycle of the project. The initiating and planning were then designed as per this thought process. Allocations were made and the product was envisioned in a two-dimensional setup without any variation or even the possibility of a variation considered. 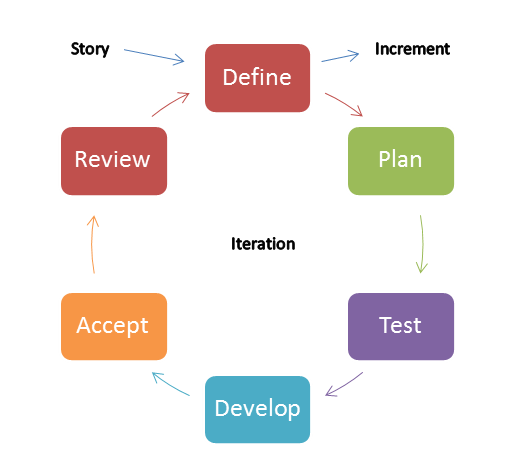 The project life cycle would be followed in a sequential order and one stage would follow another, that is, only once project planning is complete will the entire project shift to project execution. As mentioned above, traditional project management has a very rigid outlook on the entire project management space we create to conduct a change or movement towards a set objective. With the assumption that everything will stay just as it is, there’s no flexibility in the plan that is drafted after the project is initiated. With less room for any changes, even a slight change faced by the project in the execution phase or in the plan designing phase itself, it will be necessary that the project manager redraft the entire plan from scratch bearing in mind the change that has occurred. As we now know that within the working of a project, there is a possibility of many changes. Redrafting and redesigning the entire plan would not be scalable and would cost the organization time, resource, inflation of budget, and efforts. In traditional project management, we are looking at a central figure that takes care of the entire functioning of the project. That individual is the project manager (PM). The PM looks through all the stages that the project goes through and is responsible for its smooth functioning. With the dynamism that is offered by the project, the responsibility of updating the plan also falls in the hands of the PM, thus, overburdening a single individual with the task of steering and pushing the project on track. This can be quite a task to manage. There’s a lot of focus on adherence to schedule and timelines as there now lays a harsh punishment for the PM if there’s even a slight change in the project plan. This one-sided affection for project schedules disrupts the workflow of the project and the work lags back anyhow. With minds off the actual work that takes place, there have also been many cases where quality was compromised with the view to remain on time. There was always a hush-push when it comes to timelines and not a moment to breathe and think about the work project team members are doing. Though the bulk of the concentration of the team and the project manager is on timelines, with inadequate attention to risk management and anticipation of risks, the team would be reacting to risk rather than responding to them. When there’s a reaction to risks taking place, you know you aren’t paying attention to risks at all, as you assume that change wouldn’t take place and the project will flow as per timelines. But, with firefighting taking place during the project, you are forced to go off-track and then, the cycle of redrafting the plan takes place once again. 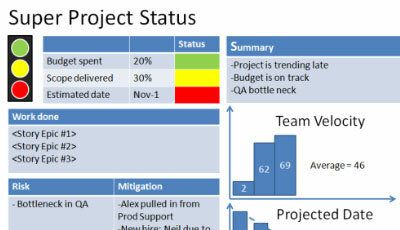 Work prioritization can take a serious hit during project proceedings, and with the framework of traditional project management, where the authority is centralized, there’s a possibility that the team members aren’t aware of the correct priority of work. This can cause them to work on the wrong things at the wrong time. The project manager is normally too bogged down by the plans and the changes occurring that the team is left without a prioritization body to help them conduct work as needed. With weak timelines, traditional project management was at its most vulnerable end and it is now that we know why this rudimentary setup of processes was just a predecessor of the dynamic form of project management. There’s a lot of external influence on the timelines and deadlines when it comes to traditional project management. With customers and clients dictating the deadlines, there’s no practical look-through on the estimation of work and the time needed for that work. In stark contrast to traditional project management, the environment created by dynamic project management addresses all the concerns raised by the former environment. The dynamic nature of projects is perfectly handled by this type of project management as it provides for a flexible framework that encompasses the ever-changing seasons of the project plans and objectives. The approach used here, in a dynamic project management environment, is that of dividing the project into self-sustainable units that don’t have a lot of dependent factors tied to it. Considering a software development project, you have varied requirements that are extremely volatile and are subject to massive or minor changes with every step taken. Mostly, these plans are based on hypothesis that may or may not conform to the actual happenings within the project. It’s very impractical to follow the traditional project management approach in such scenarios and hence, project management experts came up with the need for a new and flexible approach. The development cycles are building blocks that allow for constant evaluation of the project and the framework allows for constant feedback and improvement on the spot to be taken up. 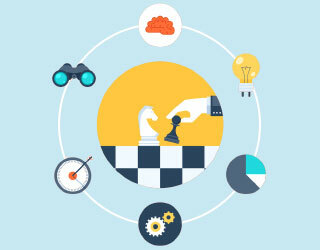 With continuous improvement as its backbone, dynamic project management is surely the way to go ahead. Planning becomes more agile and takes place with a lot of consideration and anticipation on board. With the latest technologies taking over the dynamic project management approach, PMs rely on project management software tools to help them go about with the different changes in plans and the different introductions in the project design and execution phases. These tools conform to the dynamic project management approach in a way so as to push a very little amount of stress on the PM when it comes to changes in the plan. These tools enable PMs to automatically incorporate changes in the plan as there already are the various situations considered and contingency plans agreed upon for any changes that might come about. The tool immediately takes the change and reshuffles the plan in a way so as to not shift the entire plan but accommodate the anomaly that has struck. With automatic accommodation of changes in the project plan, the team members need not rely on a single centralized authority to get their orders and work for the day. The team members can themselves help in planning and prioritizing the day as the work flows. Dynamic project management would only be possible if the hands that contributed to the project are extremely skilled and can work brilliantly in a team. Team collaboration is extremely important in a dynamic project management space and it forms a key component that drives this dynamic framework to higher possibilities of success. 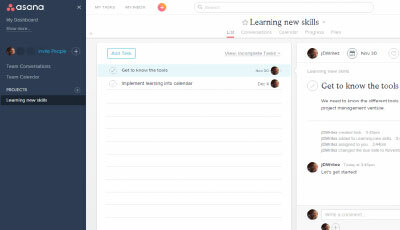 The plan and the timelines for the plan are all now automatically handled by the project management tool and need not have dedicated eyes following them. With that, the team and the PM can solely concentrate on the work to be completed and the iterations to be looked after. More time allows for more creativity and innovation and helps the team members to always think out of the box for any hurdle found along the way. Unlike traditional project management, where there was more of a reaction to the risks encountered, in dynamic project management you are looking at ways to respond to the risks that have come your way. During the project planning stage, risk management is conducted and risks are anticipated and foreseen. With these forecasting conducted, action plans were also designated to each risk, which was anticipated. These action plans are incorporated in the project plan, and if there should be risks encountered, a proactive method will already go as deployed. If the risks are averted, the project and its team members can use the remainder time as an opportunity to pull the project schedule ahead. Here, everyone on the project team knows what needs to be done and the priorities are already sorted. With transparency in the system and clarity in the prioritization process, dynamic project management takes care of changes in plans or task priority. These immediately reflect in the project plans. With reliable scheduling and a flexible approach, the timeline and the project end date or milestone dates aren’t set in stone at the start of the project but are rather evolving as the project evolves with time. If dynamic project management is conducted effectively, there’s a great chance for success and savings when it comes to budget, time, and effort. This would imply that with an evolving plan, your deadlines will always be accurate and your project end date will be based on actual rather than forecasts made way early in time. The traditional project management was the very start of project management and its contribution to how we manage projects nowadays will always be applauded. Not that this article makes traditional project management an obsolete project management approach, it rather just pits the traditional with the new age dynamic. Traditional project management is still used in some industries that have a fixed timeframes for everything and for linear processing of work. The comparison surely and evidently puts dynamic project management on the lead in this race and with times changing and reforming continuously in the industrial sector, we will surely get better at what we do and progress even further for humankind.